The 811 Louisiana building was recently redeveloped. In the biggest lease of the year, Targa Resources leased 127,734 SF in the building. HOUSTON – Targa Resources Corp., one of the largest independent midstream energy companies in North America, has signed a long-term office lease at 811 Louisiana, a Class A, 577,735 square-foot office tower located in Houston’s Central Business District. Targa will occupy 127,734 square feet on four floors at the recently renovated 811 Louisiana building. The lease represents the largest new lease signed in Houston’s CBD year-to-date in 2017. Tim Relyea, Chad Beck, David Guion, Morgan Relyea and additional strategy and team members of Cushman Wakefield of Texas represented the tenant. Chip Colvill, Paula Bruns and Damon Thames of Colvill Office Properties represented the building’s ownership. Hines professionally manages the building. The 811 Louisiana building was originally developed in 1970 by Hines. The tower was designed by the noted architect Bruce Graham of Skidmore Owings & Merrill. Mr. Graham also designed the 110-story Sears Tower in Chicago and many other prominent buildings. The 811 Louisiana building was recently rebranded and renovated as 811 Louisiana. The recent renovations designed by Page (formerly Page Southerland Page) architects included a complete makeover of the building’s lobby and renovations to the building’s lower level exterior façade and retail tunnel. As part of the renovation, the tower’s address was changed from Walker Street to Louisiana Street, which has long history as a significant business address. The Hines organization has developed a number of major buildings on Louisiana Street, including Pennzoil Place, Bank of America Center and One Shell Plaza. For pedestrians, the 811 Louisiana building is located at a key nexus point in the downtown tunnel system, which links most of Houston’s major towers. 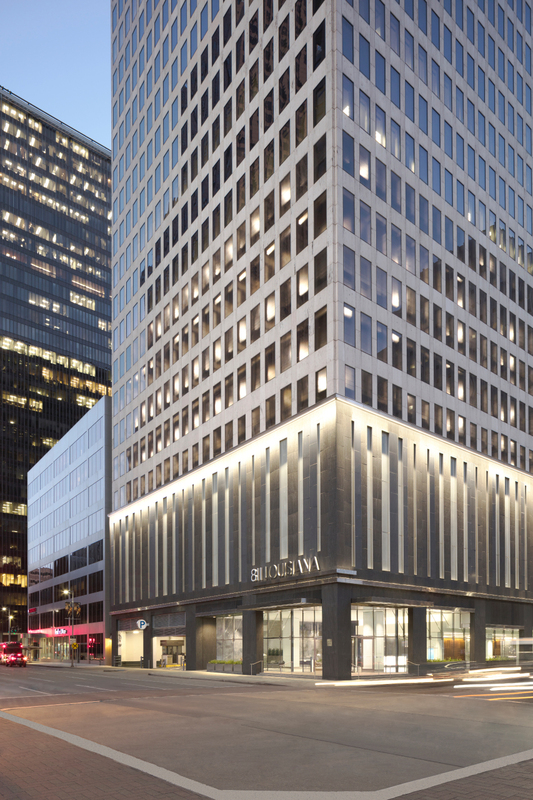 The ownership of the 811 Louisiana tower spent heavily to improve the amenities in order to appeal to tenants in Houston’s highly competitive office market. The building has a conference center, in-building parking, and a number of restaurants and retail shops on the tunnel level. In addition, a fitness center is currently under construction. In gaining Targa Resources as occupant, the building gains a significant energy firm that is traded on New York Stock Exchange. Targa Resources, a Fortune 500 company, is one of the world’s largest suppliers of natural gas and natural gas liquids. 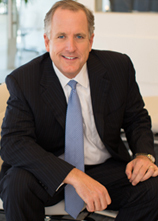 Representing Targa in the lease transaction, was a Cushman & Wakefield team led by veteran Houston broker Tim Relyea, who has leased more than 60 million square feet of office space in his career, representing major firms such as Chevron, Apache Corp. and Hess. As the biggest downtown leasing transaction so far this year, the Targa Resources lease is a positive chapter is what could be the beginnings of a turnaround story for the downtown office market. A steep decline in oil prices began in late 2014, jolting the Houston office market, which went into a three-year tailspin. Widespread work force reductions created rising vacancies, even as many new suburban buildings were completed. Downtown’s office market had approximately 500,000 square feet of negative absorption last year, according to CBRE. Shell Oil and Freeport-McMoran placed enormous blocks of downtown space on the sublease market. CBRE recently ranked Houston as the market with the largest supply of sublease office space in the nation. But there have been recent signs that the tide has turned. The sublease supply, which had topped 12 million square feet last year has been trimmed to about 11 million square feet. In other positive news, the new 1 million-square-foot Hines building at 609 Main at Texas, has just opened with more than 50 percent occupancy – a remarkable achievement considering the stiff head winds of Houston’s choppy market. Next: Houston’s Quirky Elevated Buildings: Can “Stilts” Make a Comeback in the Inner Loop?